photos | poor scientist. will blog 4 food. The food court in Taipei’s central train station (“Breeze Taipei Station”) claims to be the largest food court in the world. I’m not sure if they are referring to square footage or to number of stalls, but it is pretty huge. 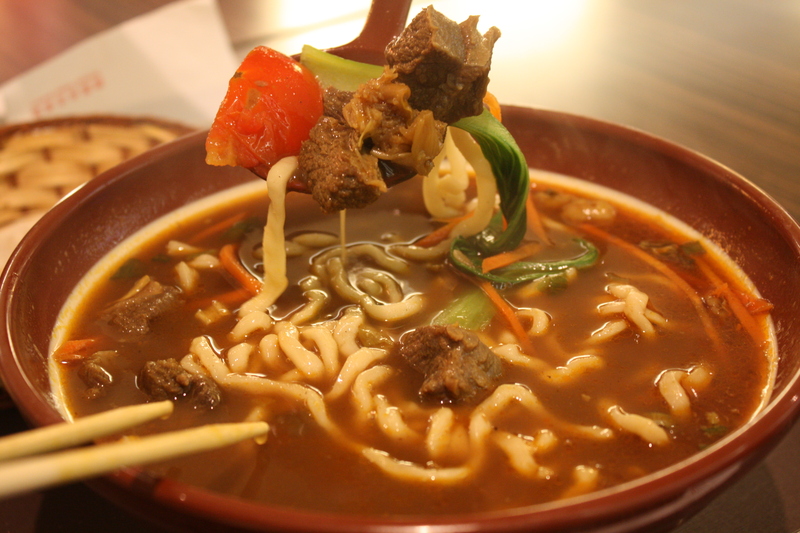 It’s split up into four smaller food courts, each with a different theme: beef noodle soup (famous in Taiwan), curries, Taiwanese specialties/small eats, and desserts. In addition, there are a few full service restaurants as well as bakeries and specialty shops. 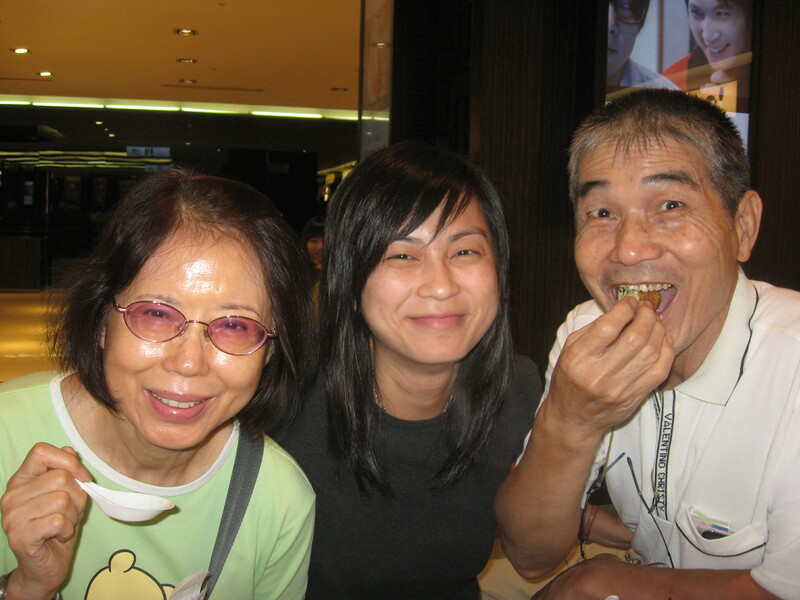 My parents don’t eat out a lot but they like going to this food court because it’s relatively convenient and the food is high quality but very reasonably priced. The food court has a nice clean aesthetic which makes meals even more appetizing. 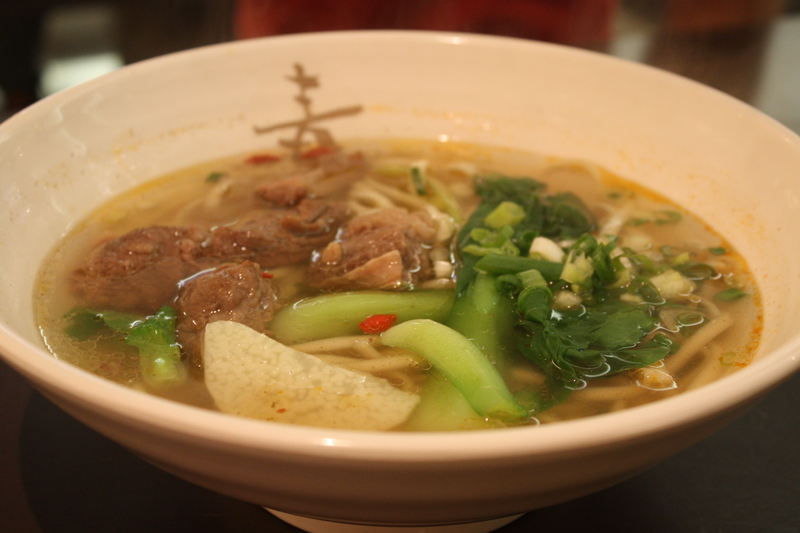 On this particular day, we all went for various kinds of beef noodle soup. There were about 10 different stalls selling subtle variations of the same thing, so it was difficult to decide. Like at many American fast food joints, all of the stalls push combo meals, usually composed of a bowl of noodles accompanied by a couple of side dishes. 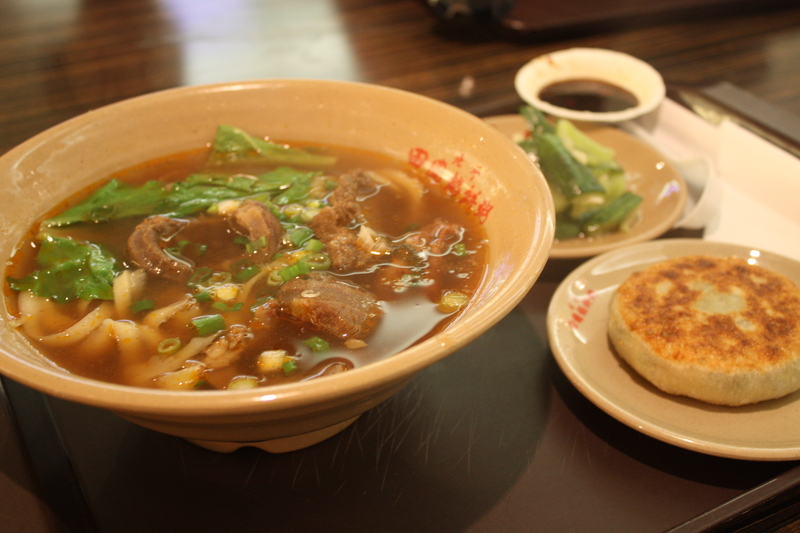 My combo meal: hand cut noodles with a meat-filled pastry and pickled cucumbers (my fave). Close up of my noodles. Drool. 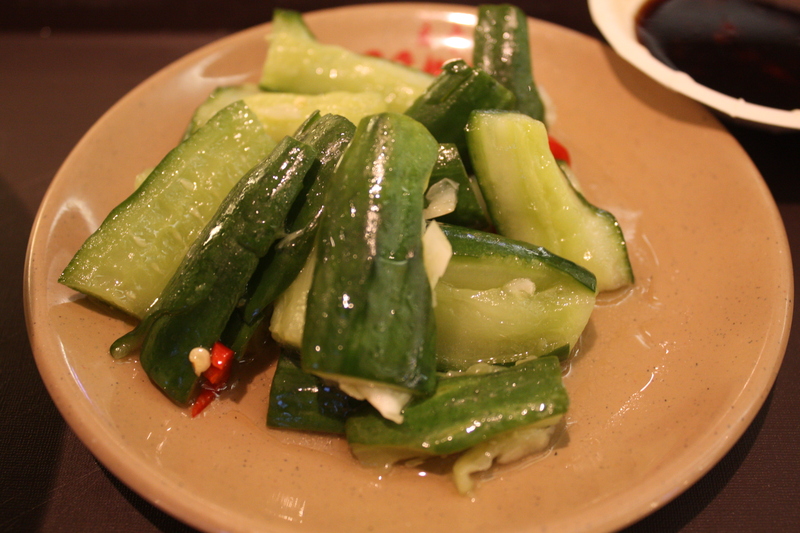 Close up of pickled cucumbers. More drooling. My sister got the tomato-base soup which was yummy. 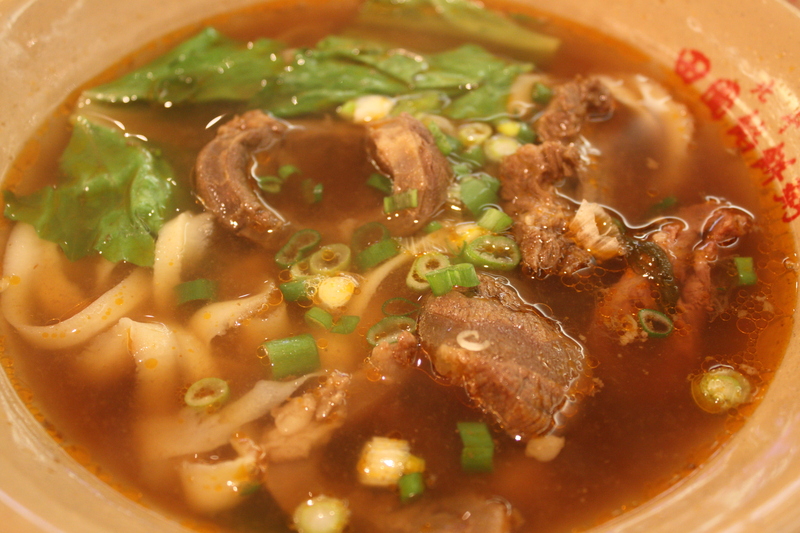 Beef noodle soup in clear broth. 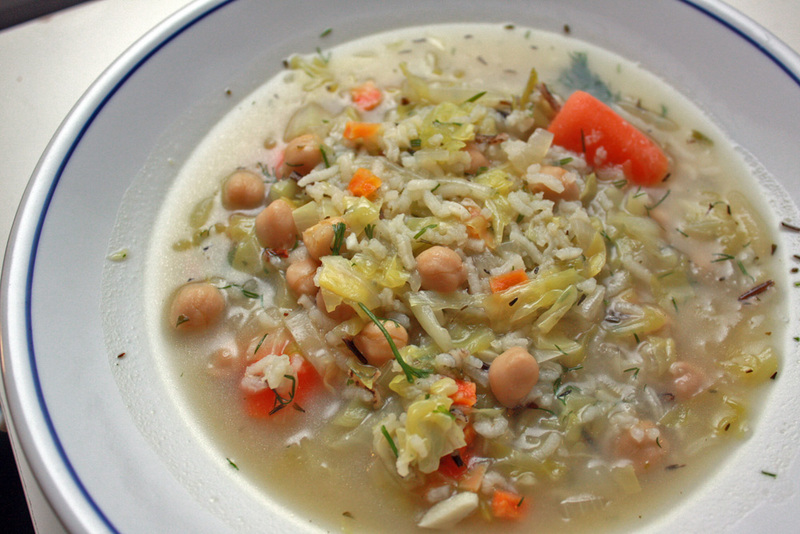 Light and savory. My dad got the curry beef noodle soup. He was also very helpful with the food styling. Thanks dad! If you ever find yourself in Taipei train station, head up to the 2nd floor to find this food court paradise! 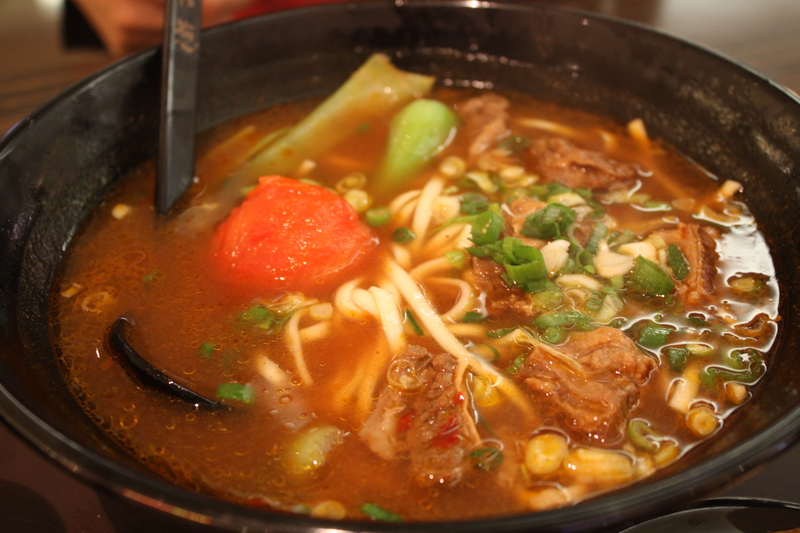 Categories: photos, travel | Tags: food court, noodles, photos, Taiwan | Permalink. My cake. I think it was some sort of amaretto/coffee cake? The tower of temptation: cakes, sandwiches, and scones. The sweetest things of the afternoon: my nephew and my second cousin! Categories: photos, travel | Tags: afternoon tea, cake, photos, Taiwan | Permalink.